Calaméo - Grab my FREE report on Reduce Your Energy Costs! Save Energy! Save Money! Save the Planet! 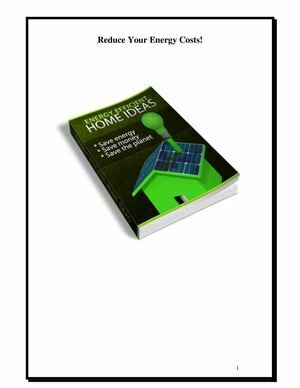 Grab my FREE report on Reduce Your Energy Costs! Save Energy! Save Money! Save the Planet! 1 Reduce Your Energy Costs!